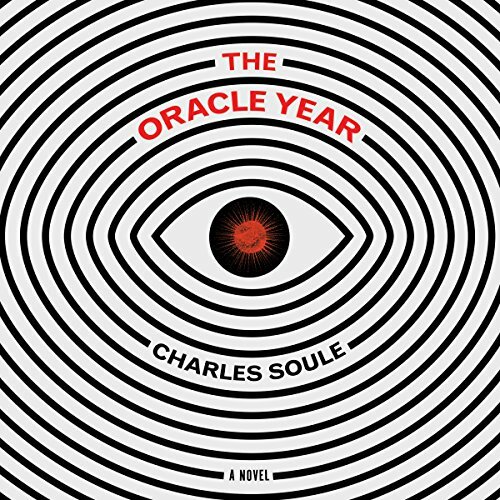 I want to thank HarperAudio for a listening copy of ‘The Oracle Year’ in exchange for an honest review. Receiving this listening copy in no way, shape, or form influences my thoughts or opinions on the novel. First things first: Charlie Thurston did a fine job with the narration of The Oracle Year. I felt as though he truly captured the character of Will Dando, portraying him exactly as Soule would’ve wanted. He had perfect pacing, hitting the highs and lows at just the right beats, and has nice voice that doesn’t come across too monotone or off-putting. What would you do if you woke up one morning, armed with 108 predictions about the future? Well, if you are Will Dando, you set up a highly secured website to announce your revelations to the world, and make millions of dollars in the process. But with success comes enemies, and The Oracle has made plenty of those. From POTUS to a Kim Jong-un type warlord, even a sweet ole’ grandma with a penchant for murder, most want to know who The Oracle is, who gave him the predictions, and if all of them are really going to come true. Others just want him dead. It is up to Will, and his friends, to keep him under wraps and safe in order to use what he knows to save mankind from extinction. Hate to admit it, but I only know Charles Soule for his ‘Curse Words’ comics and the overly-ridiculous Wizord. Having said that, I have since purchased several of his other comics and gave his debut, The Oracle Year, a go. This read was a pleasant surprise, even though others in my blogger circle gave it some pretty high praise. You can definitely tell Soule writes comics by the way this novel was sectioned out; several different scenarios and storylines playing off one another without many page-breaks in between. Conversations and action scenes were very tight and succinct, leaving room for improvement but giving the reader all of the knowledge needed to progress. The best part of the novel was Will himself. Here is a guy with not a lot going for him hitting it big from out of nowhere, taking time to use his “powers” for himself before turning his eyes on the greater good. It is a story of selfishness turning into selflessness, seeing the progression take place over the course of the story. Overall, The Oracle Year was a fun and quick listen and I am glad that I gave it a shot. I recommend it to anyone who wants a light-hearted thriller, but also to comicbook fans, as well as anyone who enjoys Chuck Wendig’s books (it reminded me of his novel ‘Zer0es’; highly recommend that one was well).